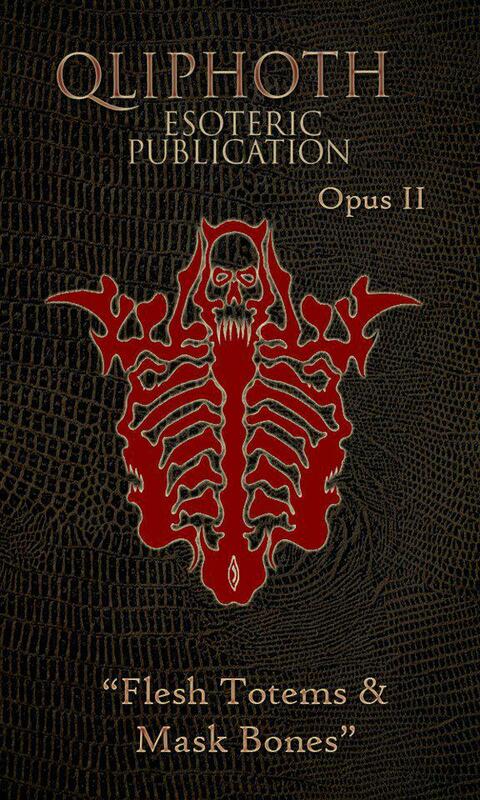 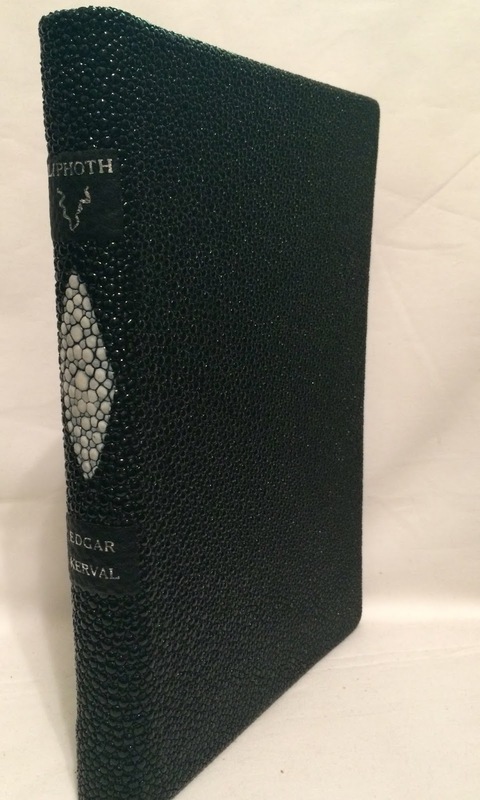 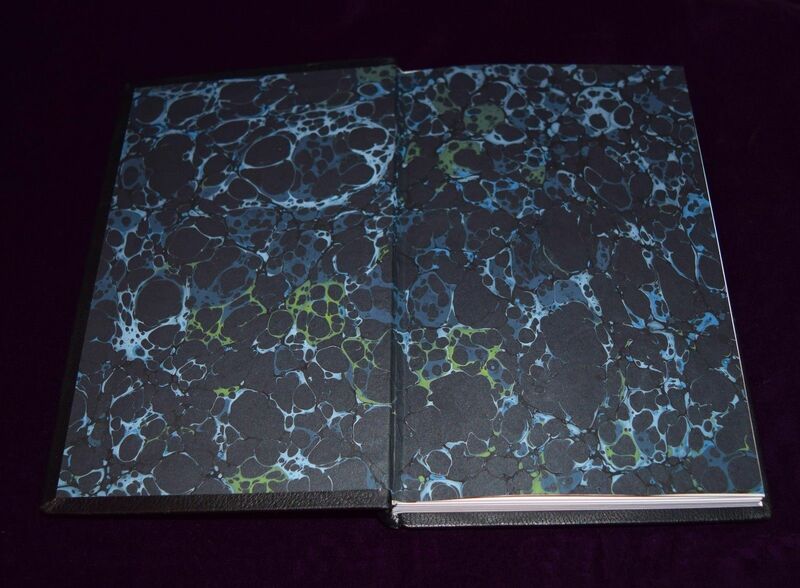 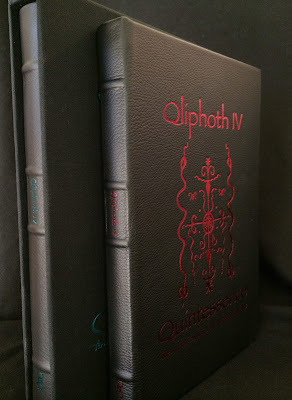 QLIPHOTH Opus VI "Ars Nigrum Draconis"
Black faux leather,silver end papers,silver Art on the cover by Asenath Mason. 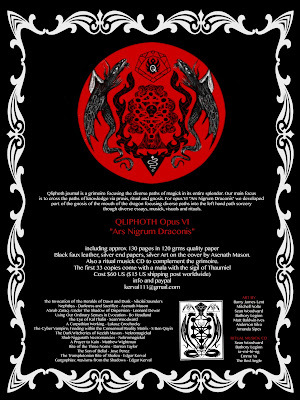 Also a ritual musick cd to complement the grimoire. 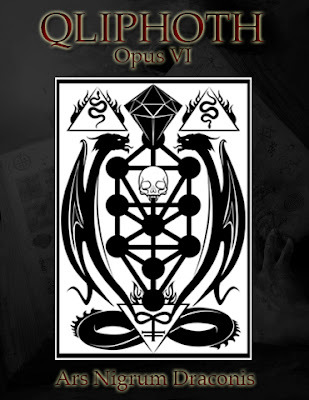 This grimoire was conjurated under diverse paths of sorcery, under the eye of the red watchers, guardians of the secret draconian flame ,whose light is the lamp guide through the labyrinhs of black serpent gnosis. 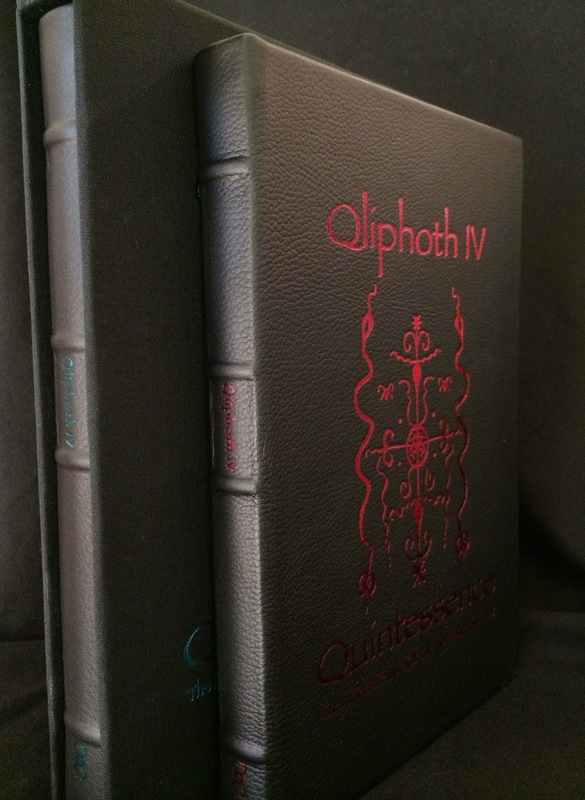 Each angle was covered with its respective sigil and conjuration for this grimoire. 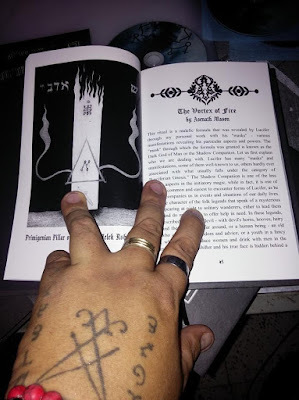 Opening the pillars of fire of the night and aetheric calls to its sacred manifestation. "Devouring The Draconian Flames" The Oracular fire edition comes in black hardbound cover with powerful stele Of Kuf'Enkh. 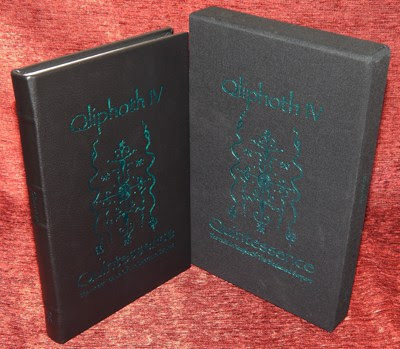 Includes a ritual music cd of EMME YA " The Masks Ov Belial"
" Devouring The Draconian Flames" The Oracular fire edition comes in black hardbound cover with powerful stele Of Kuf'Enkh. 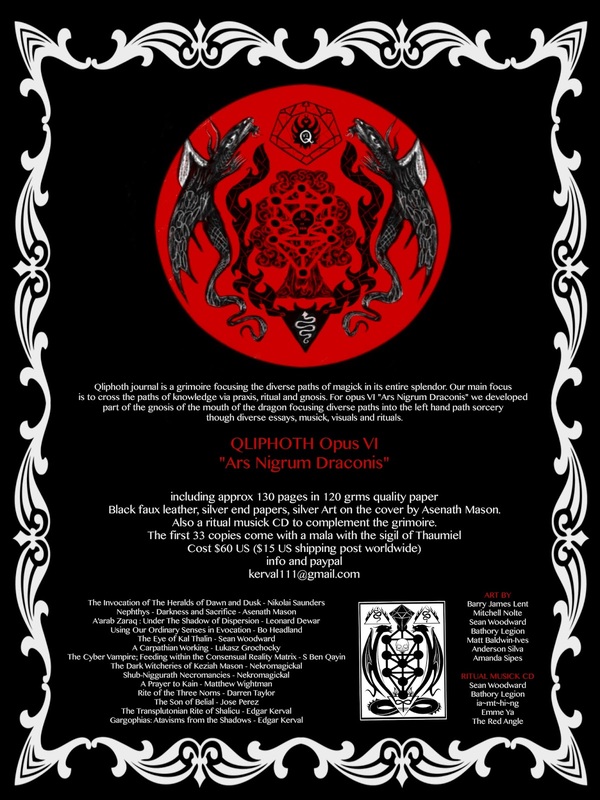 Includes a ritual music cd of EMME YA " The Masks Ov Belial"
QLIPHOTH journal opus III "The Cycles Ov Primal Kaos"
"The Cycles Ov Primal Kaos"
Qliphoth journal is a grimoire focusing the diverse paths of magick in its entire splendor. 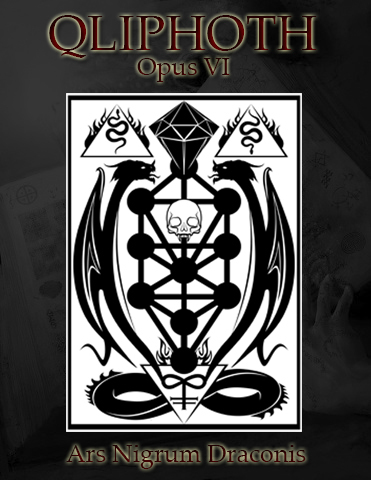 Our main focus is to cross the paths of knowledge via praxis, ritual and gnosis. 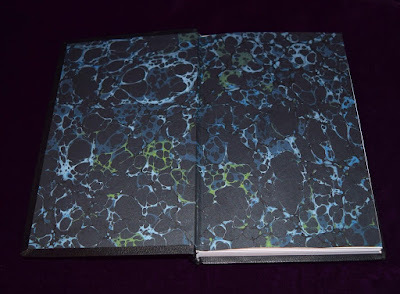 working intensely in each one of the volumes offered here. 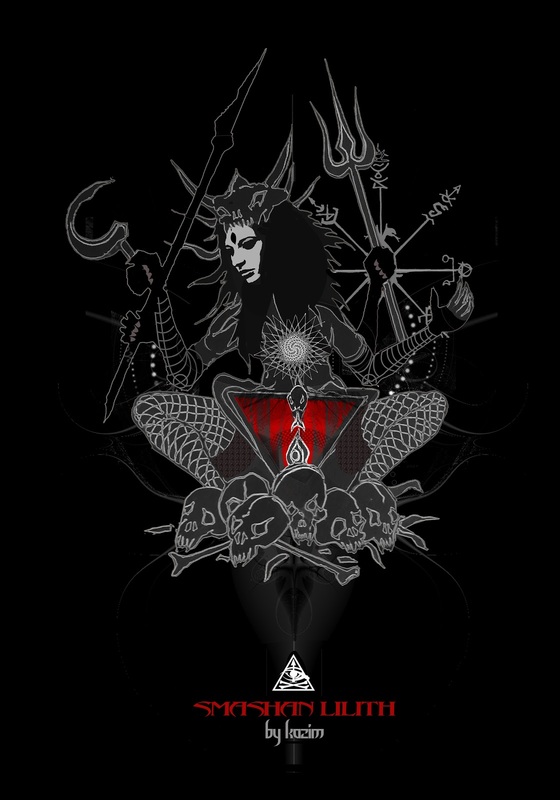 Through this III opus called -The Cycles Ov Primal Kaos- we focus to go back to such primal states of consciousness through the methods of atavistic resurgence, awakening the immortal essence of the self, through the development of our own divinity with direct experience with spirits,servitors,guardians,loas of our own temples. 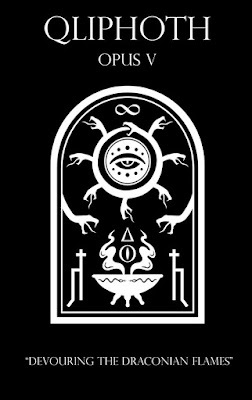 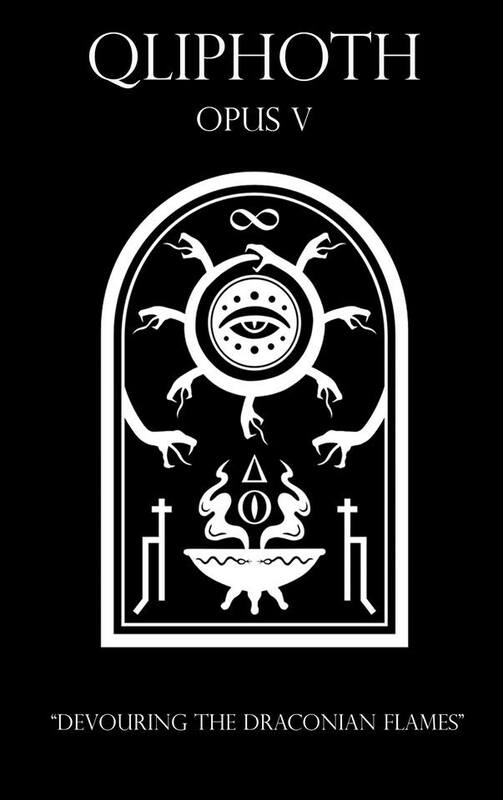 "Flesh Totem And Masked Bones"
QLIPHOTH is the expansion and influx of esoteric nature involving diverse paths of sorcery,magick and sabbatic craft. 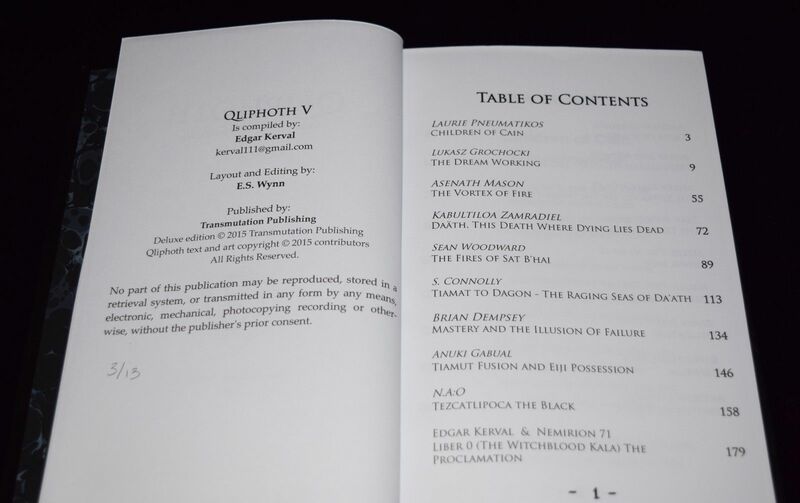 Emerging as periodical publications,with emphasis in interesting topics and methods of diverse practices. 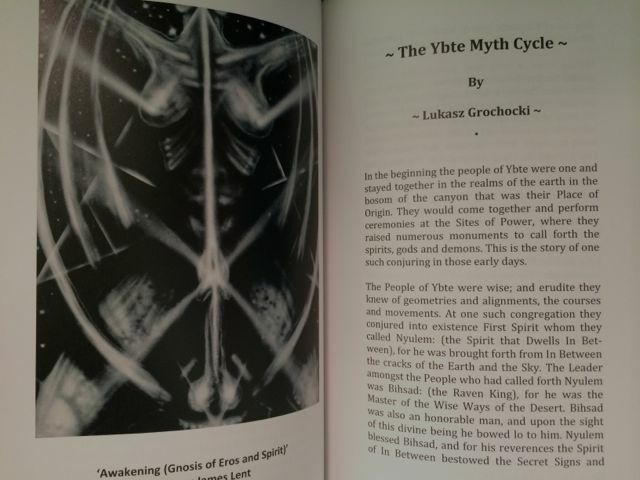 The whole publications will contains interesting elements such as Ritual musik cds,Talismans,wood crafts,sigils in each one of the publications.